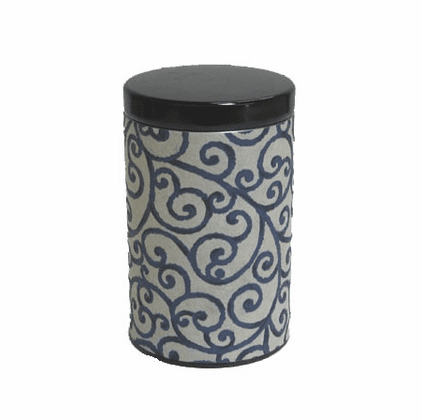 This attractive tea canister is waiting for your favorite tea! Blue and white aizome vines design. Holds 100 grams (3.53 oz.). 4 inches tall, 2-1/2 inches in diameter.